5 Must-Try Breakfast Protein Sources! Eggs may be the most popular protein choice for breakfast, but don't get stuck thinking inside the shell. Check out these 5 awesome, unconventional protein sources! The debate was settled long ago: You definitely need to prioritize protein at breakfast. That&apos;s because the macronutrient serves a number of important functions when consumed during your first meal of the day. For starters, feasting on protein helps put the brakes on the muscle catabolism (breakdown) that can occur during an overnight fast and switches on your muscle-making machinery again. Protein at breakfast has also been shown to be an important ally in the battle against the bulge.1 It keeps the flab monster at bay by helping to curb hunger and control blood sugar, both of which help reduce needless overeating later in the day. A doughy white bagel doesn&apos;t work nearly as well! When most people think of breakfast proteins, eggs come to mind first. While I certainly have nothing against the white orbs and love the high-quality protein they bring to the breakfast table, there are other proteins worth exploring for your daybreak meal. Awaken from a slumber and nosh on these five other protein heavyweights to reap the nutritional rewards! Smoked Salmon 10 g protein per 2 oz. Roll out of bed and cast your line for some smoked salmon as a savory way to kick off your day with top-notch protein and healthy omega-3 fatty acids. 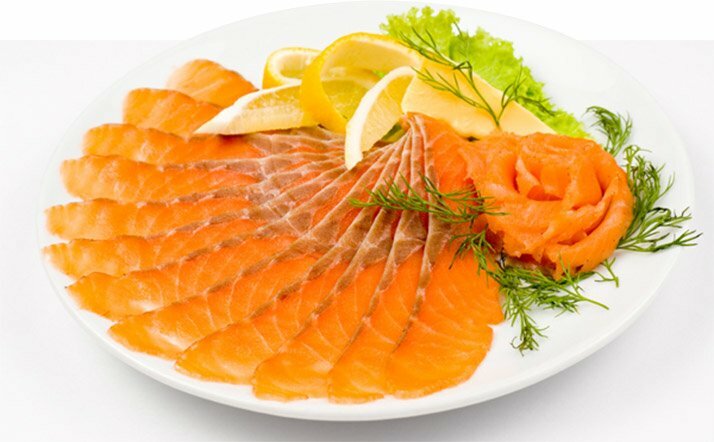 A study published in the American Journal of Clinical Nutrition discovered that combining fish-oil intake with regular exercise can play an important role in making it easier to shed body fat.2 And, unlike eggs, smoked salmon requires no cooking, so you&apos;ll still be in good shape to make it to work or the gym on time if you happen to hit the snooze button once too often. A study published in the American Journal of Clinical Nutrition discovered that combining fish-oil intake with regular exercise can play an important role in making it easier to shed body fat. Morning Glory: In a small bowl, stir together 1/2 cup whipped cream cheese, 2 teaspoons honey, 2 teaspoons minced fresh ginger, and 2 teaspoons grated lemon zest. Spread an equal amount of the cream-cheese mixture on rye crackers and top each with some smoked salmon. Like smoked salmon, ricotta cheese is another often-overlooked source of breakfast protein. 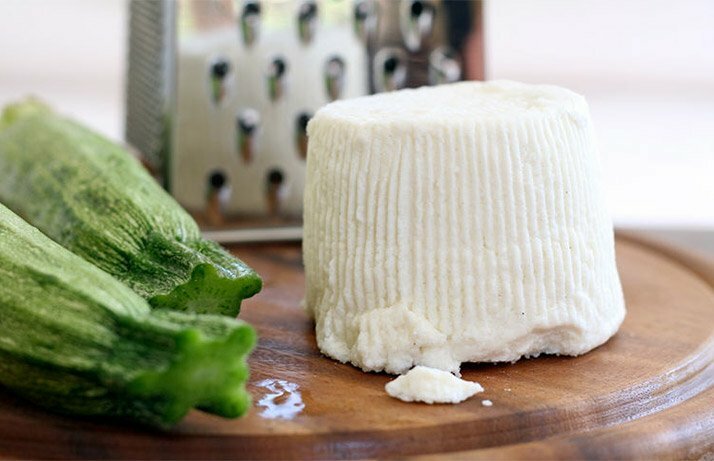 Made from the whey that&apos;s skimmed off during the production of other cheeses, ricotta is a notable source of this ultimate muscle-building protein. Studies suggest that beyond sculpting glance-stealing muscle, whey can help regulate appetite so you&apos;ll be less likely to give into hunger pangs and snack on nutritional dreck during the morning hours.3 As a bonus, you&apos;ll also benefit from good amounts of bone-strengthening calcium. Made from the whey that&apos;s skimmed off during the production of other cheeses, ricotta is a notable source of this ultimate muscle-building protein. Ricotta has a slightly sweet flavor that, combined with its creamy texture, makes it a great candidate for inclusion in your breakfast buffet. Morning Glory: In a bowl, stir together 1/2 cup reduced-fat ricotta cheese with 1 tablespoon maple syrup, 1 teaspoon vanilla extract, and 1/4 teaspoon cinnamon. Serve over toasted whole-grain waffles along with some fresh berries. When something is as healthy as beans, why just relegate them to lunch and dinner? 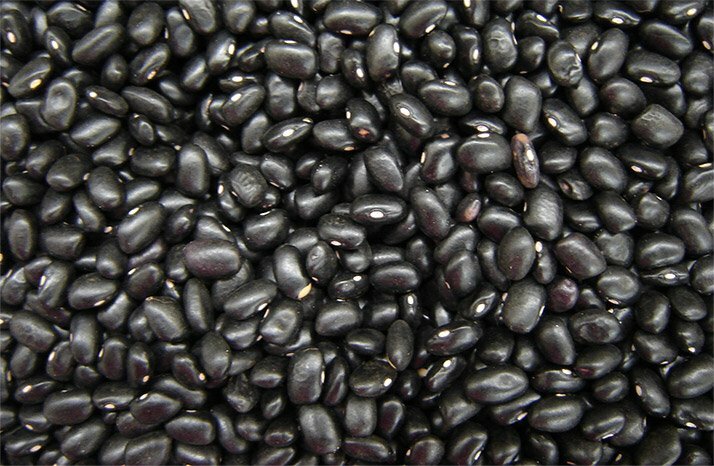 Not only do black beans supply healthy amounts of plant-based protein, they&apos;re also jam-packed with fiber—a whopping 17 grams per one-cup serving! This dynamic duo of protein and fiber will go a long way in bolstering satiety, so any leftover birthday cake in the office break room will seem a lot less tempting. Not only do black beans supply healthy amounts of plant-based protein, they&apos;re also jam-packed with fiber—a whopping 17 grams per one-cup serving! Morning Glory: Make up some lightning-fast breakfast tacos by piling canned black beans, sliced avocado, diced pineapple, and jarred salsa on corn tortillas. Canadian Bacon 12 g protein per 2 oz. Canadian-style bacon may very well be our northern friends&apos; greatest export. 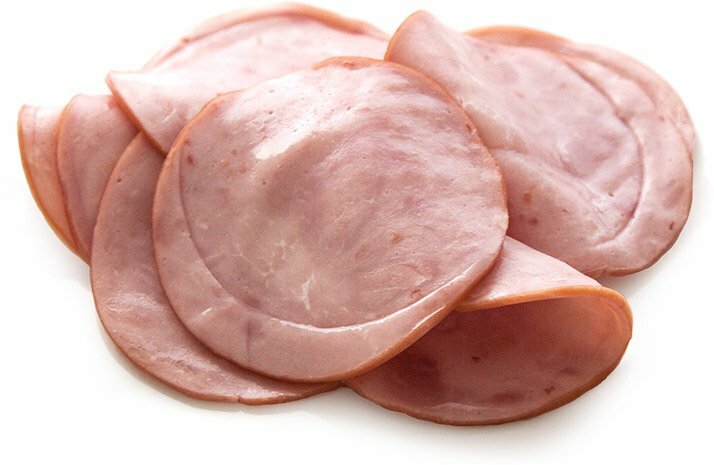 More like ham than the strips of crispy bacon most of us are more accustomed to, Canadian bacon is gleaned from the loin section of the hog and thereby significantly leaner than regular bacon harnessed from the fatty belly of a pig. More like ham than the strips of crispy bacon most of us are more accustomed to, Canadian bacon is gleaned from the loin section of the hog and thereby significantly leaner than regular bacon harnessed from the fatty belly of a pig. In Canada, it&apos;s often rolled in yellow cornmeal before being sliced, and then sold as "peameal bacon." It&apos;s ready to eat after a brief warm-up in a sauté pan. Morning Glory: For a tasty breakfast sandwich, slather some Dijon-style mustard on a toasted whole-grain English muffin and top with cooked Canadian bacon, sliced tomato, and baby spinach. Heck, you could even add a fried or poached egg for an extra protein bump! 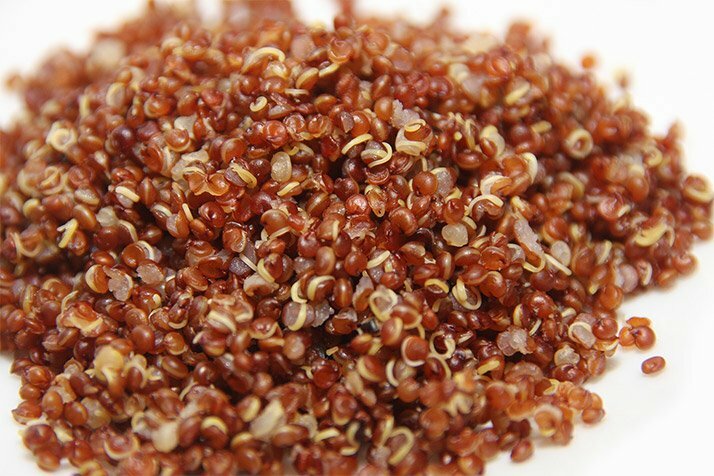 In contrast to many grains, quinoa possesses all of the necessary amino acids to instigate muscle growth. So it&apos;s time to think of ways to sneak this nutritional overachiever into your breakfast repast! On top of being a complete protein, the grain contains an impressive arsenal of vital nutrients including magnesium, iron, and B vitamins. In similar fashion to oats, quinoa can be cooked into breakfast porridge to help launch your day in the healthiest way possible. On top of being a complete protein, quinoa contains an impressive arsenal of vital nutrients including magnesium, iron, and B vitamins. Morning Glory: Bring 1 cup quinoa, 2 cups water, 1 teaspoon cinnamon, and 1 teaspoon ginger powder to a boil in a medium-sized saucepan. Reduce heat and simmer, covered, until the water has been absorbed, about 15 minutes. Stir in 2 tablespoons brown sugar and let stand 5 minutes. Fluff with a fork, divide among serving bowls, and top with a few splashes of milk, diced fruit, and chopped nuts or seeds. Rains, T. M., Leidy, H. J., Sanoshy, K. D., Lawless, A. L., & Maki, K. C. (2015). A randomized, controlled, crossover trial to assess the acute appetitive and metabolic effects of sausage and egg-based convenience breakfast meals in overweight premenopausal women. Nutrition Journal, 14(1), 17. Zafar, T. A., Waslien, C., AlRaefaei, A., Alrashidi, N., & AlMahmoud, E. (2013). Whey protein sweetened beverages reduce glycemic and appetite responses and food intake in young females. Nutrition Research, 33(4), 303-310. Bazzano, L. A., He, J., Ogden, L. G., Loria, C. M., Vupputuri, S., Myers, L., & Whelton, P. K. (2002). Fruit and vegetable intake and risk of cardiovascular disease in US adults: the first National Health and Nutrition Examination Survey Epidemiologic Follow-up Study. The American Journal of Clinical Nutrition, 76(1), 93-99.